Pel’s Fishing Owl on last day of Uganda birding tour! Our Uganda birding tour ended yesterday and here is a quick photo from the last day: one of two Pel’s Fishing Owls along the Nile River, taken by Birding Africa guide Tertius Gous on a boat trip in Murchison Falls National Park. It’s hard to believe it’s our 14th year at the British Birdwatching Fair at Rutland Water and this year there’ll be 5 of us. 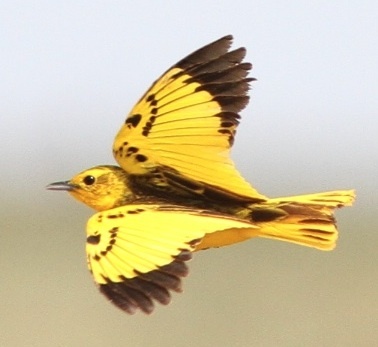 On Friday at 13h00 Callan will be giving a lecture on how to combine the wildebeest migration in Tanzania with great birding, and on Saturday afternoon embarrassing himself at the Bird Brain of Britain quiz where he’ll be representing the African Bird Club (specialist subject is Endemic Birds of Madagascar). Marje will be on the stand with Tertius Gous (just back from a Uganda tour) and Ethan Kistler (who represented us at The Biggest Week in American Birding earlier in the year). 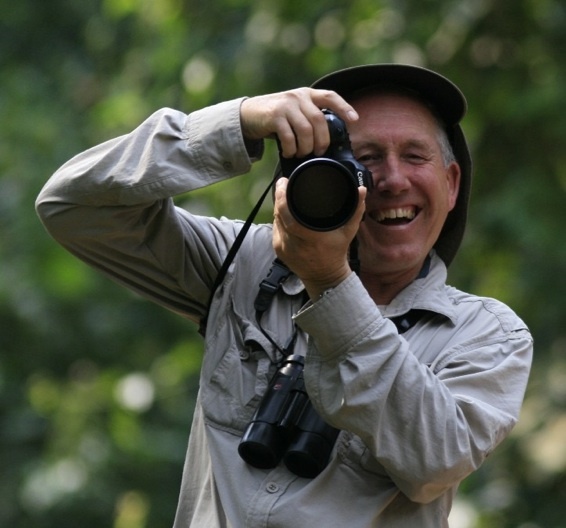 Marje’s husband Jon, a keen birder, will also be supporting us. Hope to catch up with many of you this weekend (15 – 17 August)– we’ll be in our usual spot at the entrance of Marquee 3 (28/29). Birding Africa guide Ethan Kistler stands in front of Birding Africa’s booth during The Biggest Week In American Birding – the largest birding festival in the USA! On the final day of the festival, Ethan reports that the festival has been a blast, the birding was incredible and that it’s been great to be back in his home state and see all of his birding friends. We hope to see a lot of those who attended the festival join us in Africa soon! 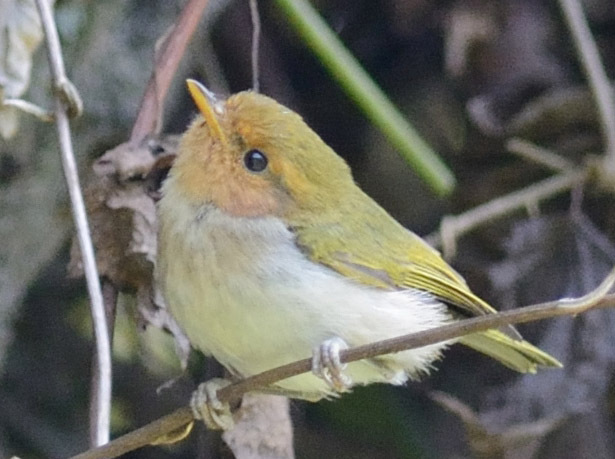 For our American followers attending The Biggest Week In American Birding (until May 15), be sure to say hello to Ohio-native and Birding Africa guide, Ethan Kistler. 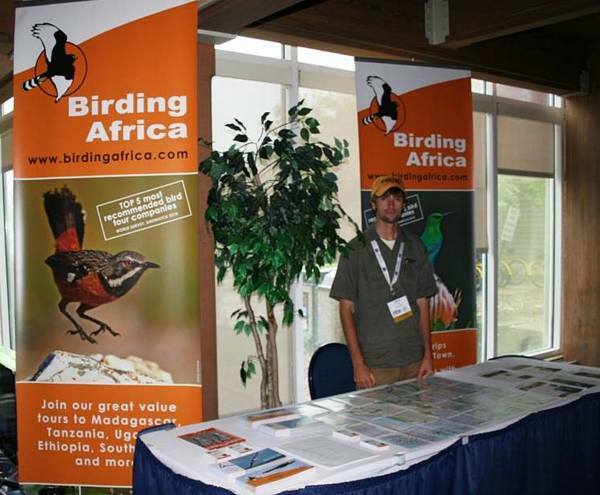 As Birding Africa is a festival partner, Ethan will be manning our Birding Africa booth. 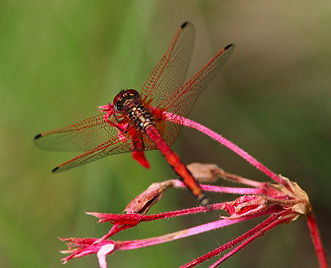 He’ll also be guiding festival field trips, birding the trails and give a free talk on birding South Africa. The fair is hosted by the Black Swamp Bird Observatory in Northwest Ohio. 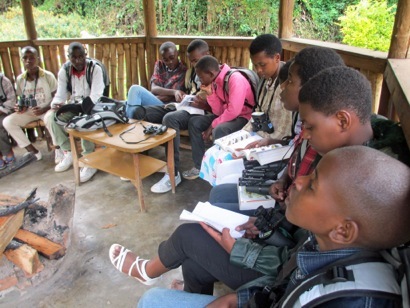 Narcisse is a specialist bird guide who set up the Nyungwe Kids Birdwatching Club five years ago. He wanted train the guides of the future, so they could make their own sustainable income. And he wanted to prompt the local community to conserve and protect their forest. 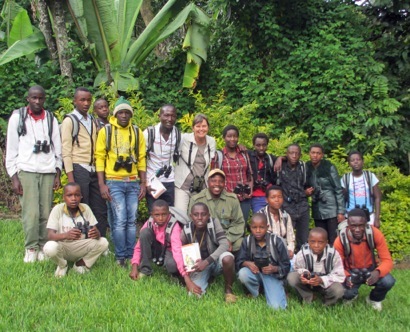 Narcisse does this out of his generosity and passion for birds and education. On Boxing Day, Marje and Jonathan Hemp met Narcisse Ndayambaje and 18 members of the club at the Gisakura Guesthouse to find out how they were getting along. 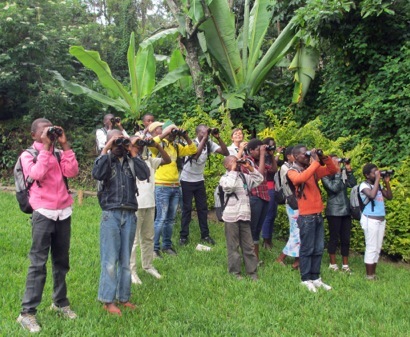 These excited young birders arrived kitted out with their backpacks, binoculars and East African field guides and keen to go on a bird outing. 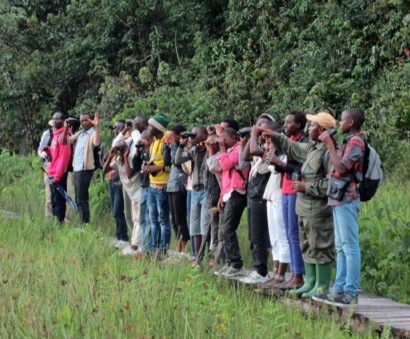 Narcisse quickly arranged with the Nyungwe Park Manager so the group could join Marje and Jonathan on a field trip to Kamiranzovu Marsh. They hired a taxi from the local village for a great afternoon birding at Nyungwe. 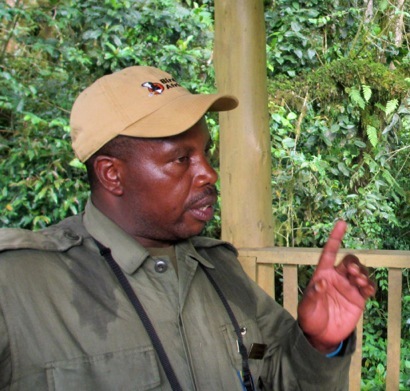 This is Rwanda’s world famous montane forest with 26 Albertine Rift specials. 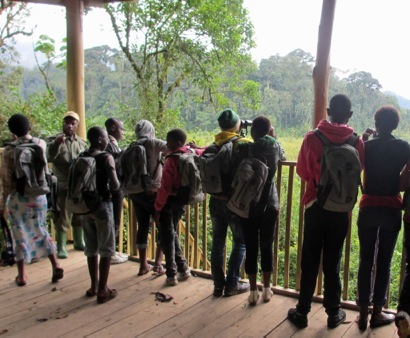 The kids had to come to terms with difficult words: Cinnamon Bracken Warbler, Grauer’s Rush Warbler, Ruwenzori Batis and Mountain Masked Apalis! And they recorded these sightings in their notebooks. 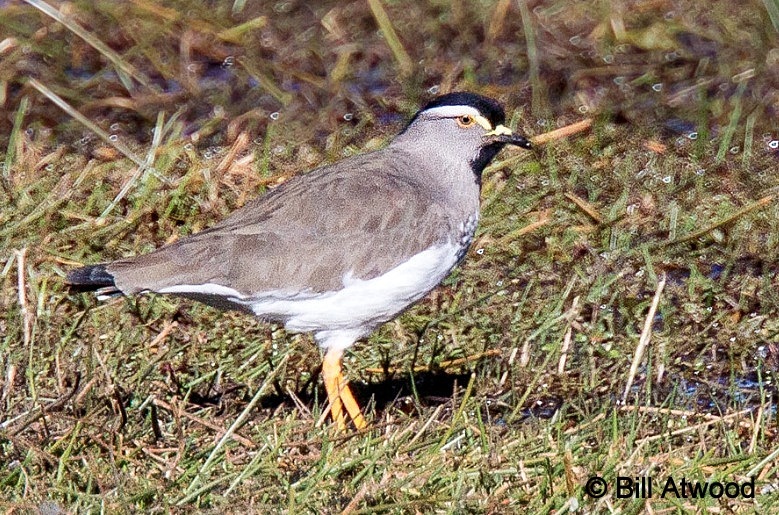 Guided by the ever patient Narcisse, they could observe these birds from the hide. What a great afternoon! 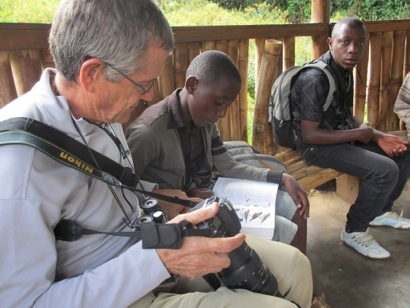 Thanks to the RSPB and African Bird Club who sponsored the binoculars and Nigel Redman for the East African Field guides. The club members very much appreciate these items. Their dearest wish now is to visit other national parks in Rwanda such as Akagera and Volcanoes. 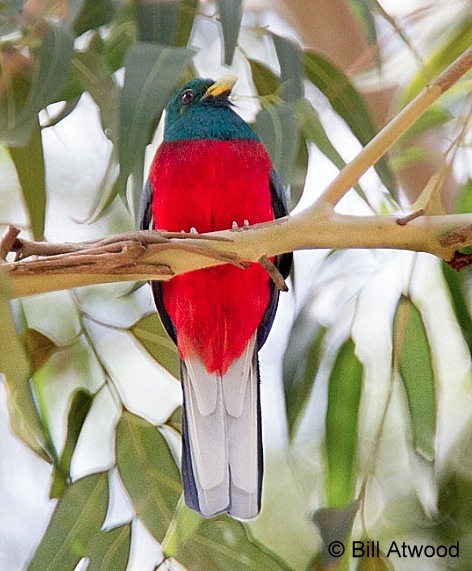 Bird highlights included Blue-winged Goose near Addis; White-cheeked Turaco at Debre Libanos, Black-winged Lovebird at Jemma Valley and the localised Ankober Serin at Gemassa Gedel. Boran Cisticola, Half-collared Kingfisher and Yellow-throated Seedeater entertained us in the lowlands. While Arabian and Hartlaub’s Bustard, Abdim’s Stork, Lichtenstein’s Sandgrouse, Dusky Nightjar, perched Barbary Falcon and Somali Ostrich showed in around Awash. 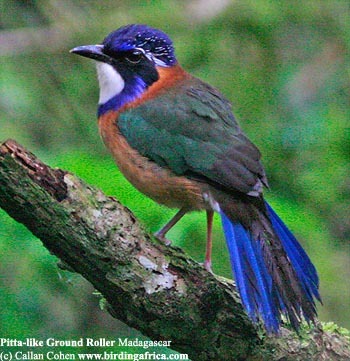 The Rift Valley immersed us with thrilling scenery and Wondo Genet with likes such as Abyssinian Woodpecker, Thick-billed Raven, Narina Trogon, Ethiopian Oriole and Yellow-fronted Parrot, until Spot-breasted Lapwing and Abyssinian (Long-eared) Owl welcomed us in the Bale Mountains. 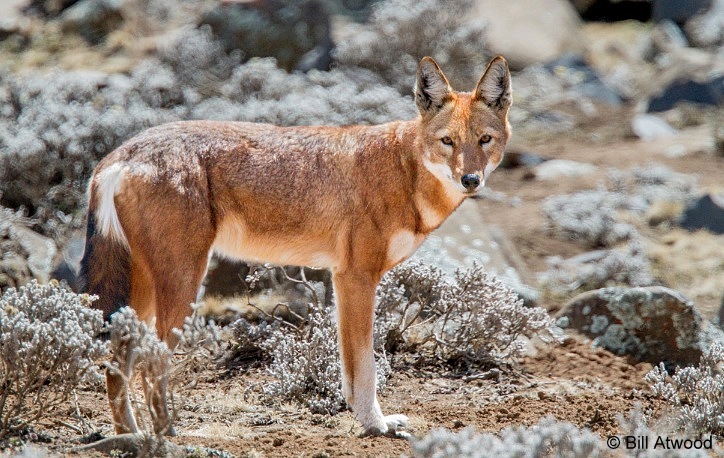 In the Bale Mountains Ethiopian Wolf stole the show, featuring more than 20 animals. We also watched Abyssinian Catbird, Ayres’s Hawk Eagle, Crowned Eagle, Saker Falcon, Moorland Francolin, Rouget’s Rail and Chestnut-naped Francolin. 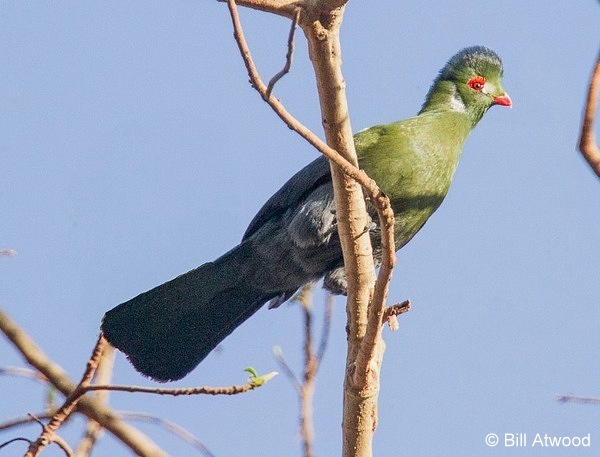 Prince Ruspoli’s Turaco (photo) and Abyssinian Ground Hornbill excited us en route to Negelle, where we had great views of Donaldson-Smith’s Nightjar and Sidamo Lark. 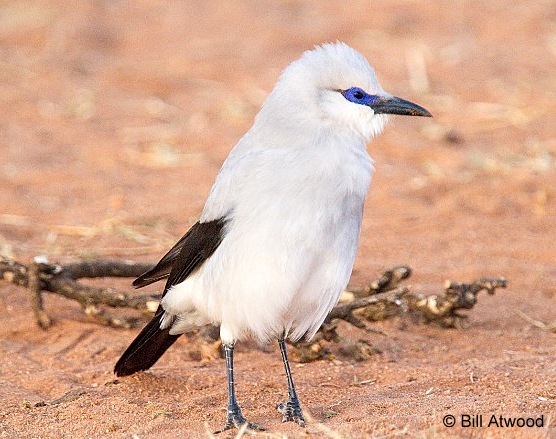 En-route to Yawello, some of the most memorable birds included White-tailed Swallow and Stresemann’s (or Ethiopian) Bushcrow (photo). Click here to continue to the trip report to find out what else they saw. 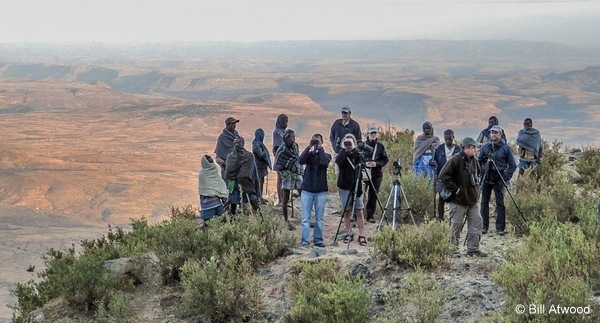 Join Michael Mills in Ethiopia from 5 to 20 April 2014. Two places left. Email Marje Hemp info@birdingafrica.com or phone +27 21 531 6405 to enquire or receive the tour details.